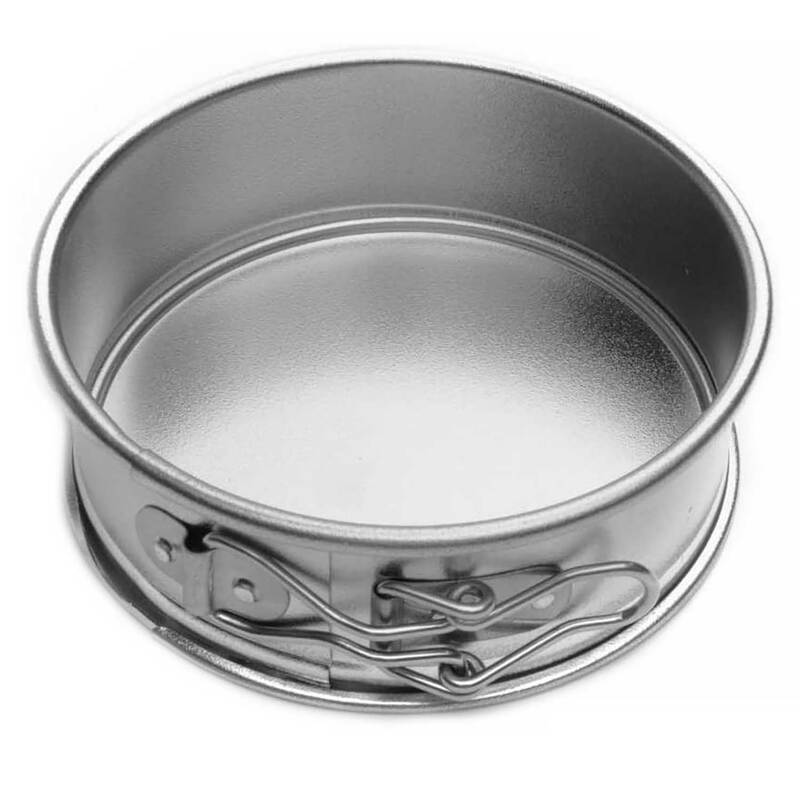 Brand: Fox Run FR-4553 Units: 1 Dimensions: 4½" diameter x 1⅝" deep Springform pan with removable smooth bottom plate. Undo the spring lock to release the sides. Made of tinplated steel. Actual measurement is listed below. Springform pan with removable smooth bottom plate. Undo the spring lock to release the sides. Made of tinplated steel. Actual measurement is listed below.